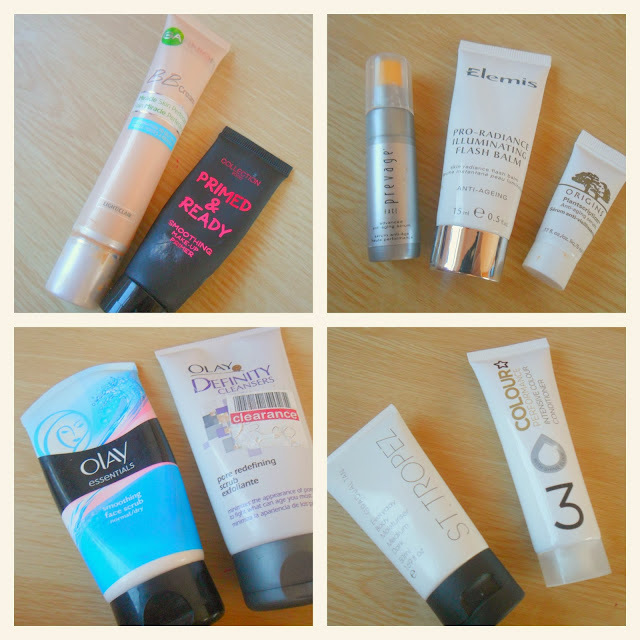 Most of the products I have used this month have been face products, I have lots of little samples to get through so I have used some of them up. 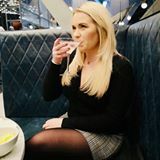 I may have reviewed a product in full before this post, if so I will link it so you can have a read! Garnier BB cream for oily skin - I love this BB cream, this has been my staple base for the summer (review). Collection 2000 Primed & Ready smoothing primer - I like this product, it helps my foundation apply more evenly, however I don't feel it kept my makeup on any longer than if I didn't use it. Elizabeth Arden Face Privage Serum - This product didn't wow me at all unfortunately, it was only a small sample so maybe it needs more time to take effect, I want be buying the full size to try this out though. Elemis Pro-Radiance Illuminating Flash Balm - LOVE LOVE LOVE this product, when I am having a bad skin day or I have had a few too many glasses of wine (or pints of beer - classy) the night before, this really gives my skin a pick me up! Origins Planscription Serum - Another fabulous product, quite expensive but does exactly what it is meant to (review). Olay Facial Scrubs - These were both very disappointing for me, I like quite harsh scrubs with lots of scrubbing beads inside, neither of these did what I expect from a scrub! St Tropez Gradual Tan - Gorgeous! It builds a natural looking tan within one day, and I really like the smell (most people don't) but it's not 'biscuity' at all! Superdrug Colour Conditioner (which comes with their own brand hair dye) - After discovering Superdrug's own brand hair dye I won't be using anything else! I love the colour I have been using recently (pictures and review here) and it costs a mere £5.00 for 2 BOXES! Absolute bargain! 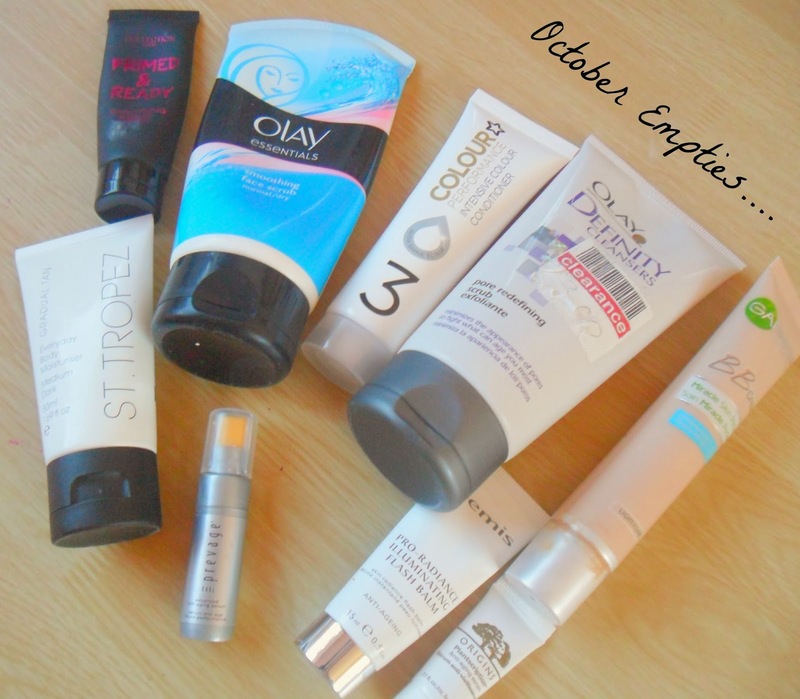 So there are my 'empties' this month! Have you used any of the products above?